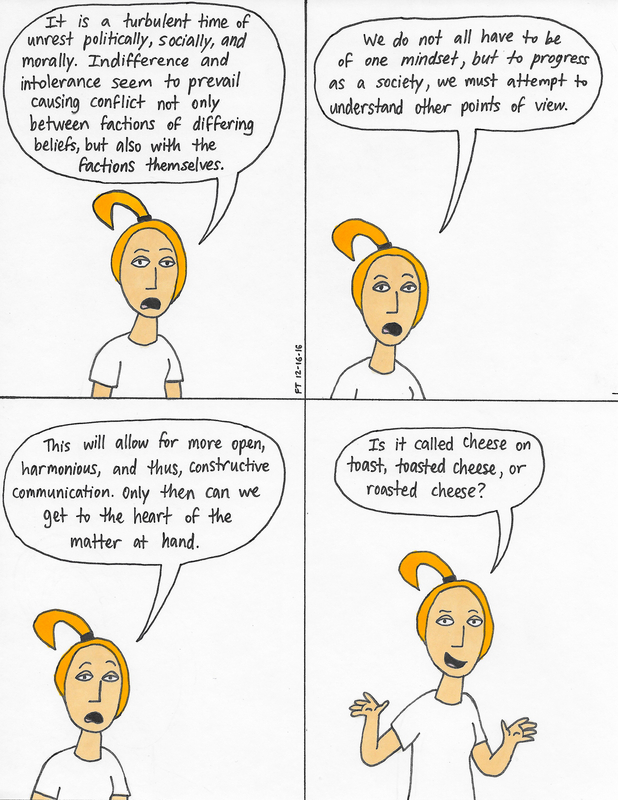 This entry was posted in Uncategorized and tagged #12daysofchristmas, #agreement, #cheese, #cheeseontoast, #haroldandthepurplecrayon, #politics, #roastedcheese, #toastedcheese, #webcomic. Bookmark the permalink. Well obviously it’s cheese on toast, you take cheese you put it on toast, by its very definition it it cheese on toast and anyone else can see me after school behind the bike sheds….. nae chibs !